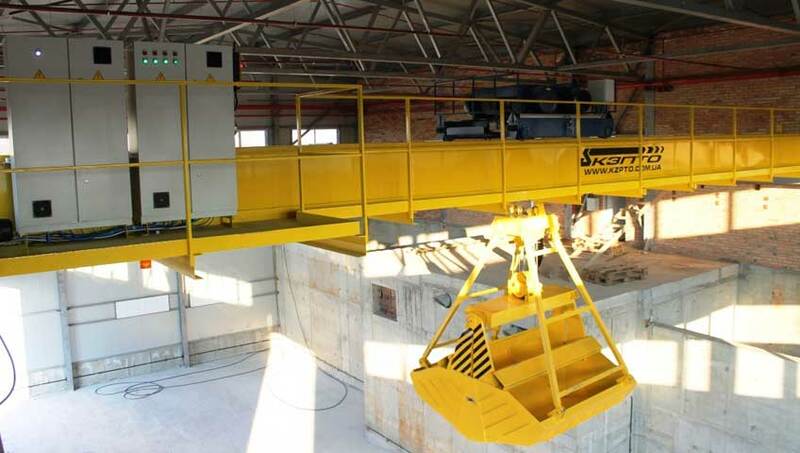 For a large Ukrainian thermal power plant at the «Kyiv Crane Machinery Plant LLC», a grab crane of model KMg-5.0-15.45.45.0.0-A6 was designed and manufactured. In March of 2016. together with Swiss experts has been launched in Ukraine, the first solid-fuel boiler. 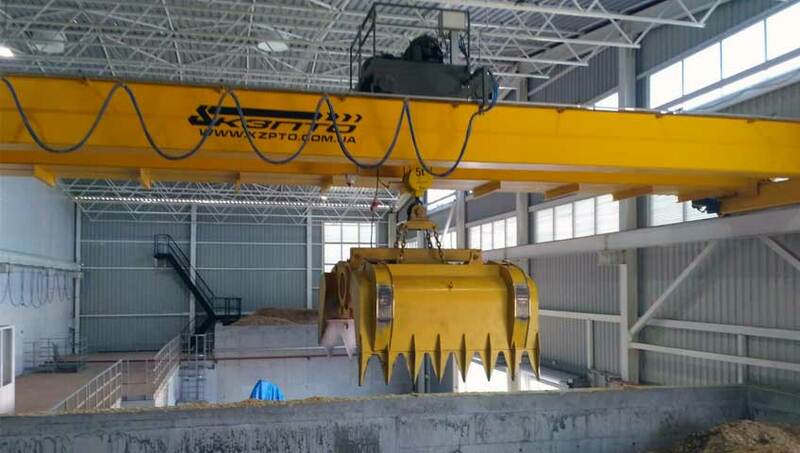 An important role of the whole technological cycle, namely the loading of biomass (wood chips) in the combustion tank carried grab crane produced by «Kyiv Crane Machinery Plant LLC».